1.68 m Tall Jamaican Model Keyshia Ka'Oir's is Married to Gucci Mane, Do They Share Kids? The Jamaican born model and entrepreneur Keyshia Ka'Oir is best known as the wife of American rapper Gucci Mane. 38-year-old Gucci, the founder of 1017 Records, married his longtime girlfriend Keyshia a year after their engagement. Keyshia, the 2010 XXL Magazine Model of the Year, and the American rapper exchanged vows in a lavish wedding ceremony that reportedly cost over $2 million. But money is not the upper hand in every relationship. A successful relationship takes a lot more than just money, or power, or love. And as far as Keyshia and Gucci's relationship are concerned, things seem quite hazy. There are rumors that the two have filed for divorce. So, what's the truth? Further, we will also find out if they share children together? Let's know more about the couple's affairs and married life. Well, Keyshia and Gucci have identified themselves as one of the most responsible couples in Hollywood after their lavish wedding in 2017. However, there are sources that claim that the couple has filed for divorce. But not every rumor needs to be true and, not for this lovely couple at least. It's been only a year of their wedding and 8 years since their courtship. But the couple's love for each other feels like they are together since the millennium. The couple first met while Gucci Mane was working on his music video, 911 Emergency, in 2010. Keyshia was named 2010 XXL Magazine Model of the Year the same year Gucci flew to Atlanta to be in his 911 Emergency music video. He was in love with me on sight. Later, they turned the boyfriend-girlfriend relationship to fiancees as they got engaged in November 2016, right after performing at a basketball game for the Atlanta Hawks. Eventually, they got married after the holy vows as husband and wife. Sounds beautiful!! Even now, the couple is together without divorce mishaps and can be seen sharing lovely moments on their Instagram. In his autobiography, Gucci reveals that he has a son born in 2010. Though not much details on his son and other children are out. We wish the couple best. 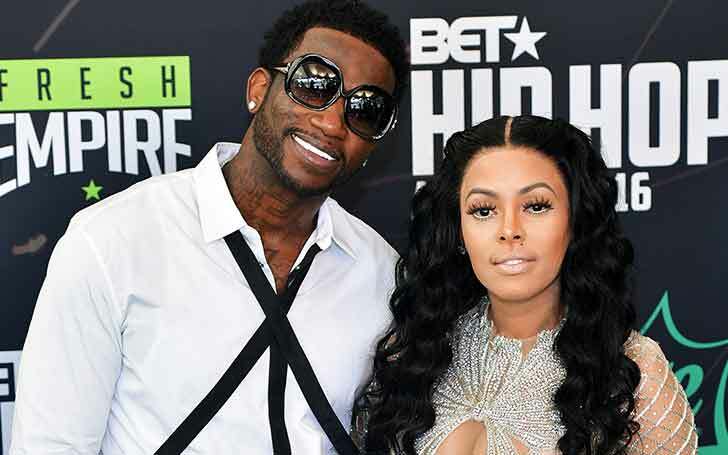 After 7-years of dating, Gucci Mane and Keyshia Ka'Oir got married. The couple tied the knot in the Tuesday evening at the Four Seasons in Miami on October 17, 2017. As reported, Keyshia bedazzled everyone in her wedding dress and jeweled headpiece while Gucci Mane appeared in his stunning pure clean white suit. I want a royal wedding! All white with diamonds and crystals. 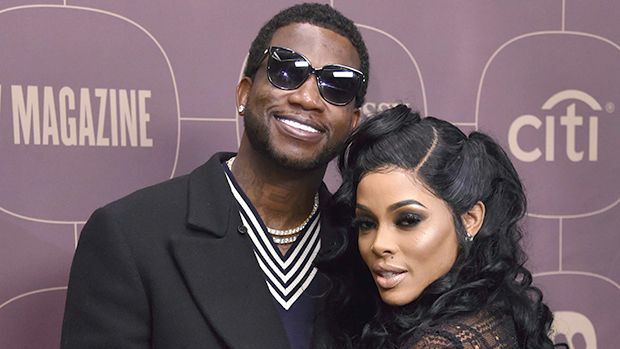 The lavish wedding was reported to be worth $1.7 million on BET as a 10-part special Gucci Mane and Keyshia Ka’oir: The Mane Event. The wedding guest list included Sean “Diddy” Combs, Real Housewives of Atlanta star Kim Zolciak-Biermann, Karrueche Tran, Lil Yachty, 2 Chainz, Rick Ross, Monica, Big Sean, and Jhene Aiko. Well, there is something more fascinating about their wedding. Know here. 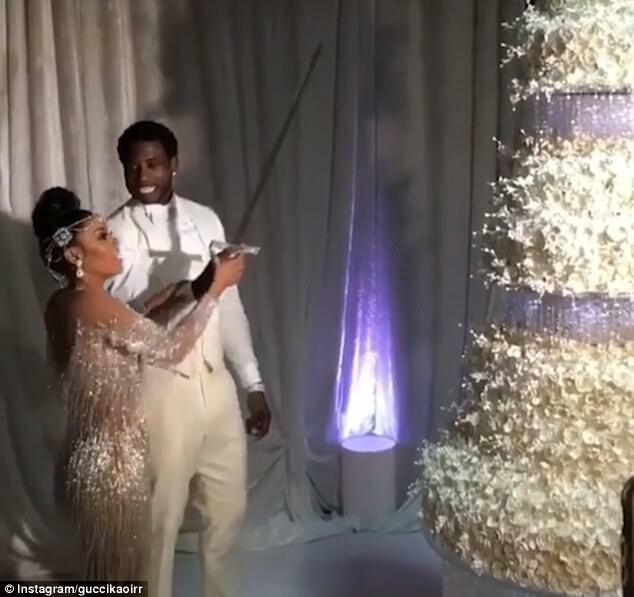 Gucci and Keyshia made their marriage extravagant as they had ordered a cake worth $75,000 which was cut with a help of a sword. As per the statement of Edda's Cake Design to TMZ, it was the biggest cake they had ever produced, taking 3 months of planning, 3 days of baking, 8,000 handmade sugar flowers and 2,500 Swarovski crystals. The massive cake and the massive $1.7 million expenses on the wedding are well deserved by the couple so beautiful. The couple is about to celebrate their 1st marriage anniversary this October 17, and let's wait to see what plans the couple have up their sleeves.